Thanks to those who attended my session on Polyglot Persistence in Windows Azure today at the **NoSQL Now! **conference in San Jose. Here are slides and a few notes from today's session and follow-on questions. (download ) **How will Windows Azure provide NoSQL database support? ** Today, Azure offers Table Storage as a NoSQL key/value store. 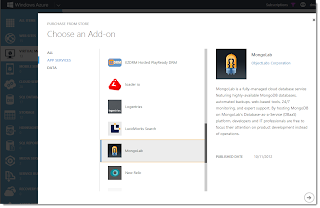 Additionally, several partners have begun offering database "as a service" running in Windows Azure. For example, MongoLab and MongoHQ provide Azure-hosted MongoDB, while Cloudant provides Azure-hosted CouchDB. What, exactly, is VM Depot? VM Depot is a repository of community-created Linux-based virtual machine images. In terms of NoSQL, there are a few NoSQL database images available today. For example, you'll find Neo4j, MongoDB, Redis, and Riak. What does VM Depot cost? 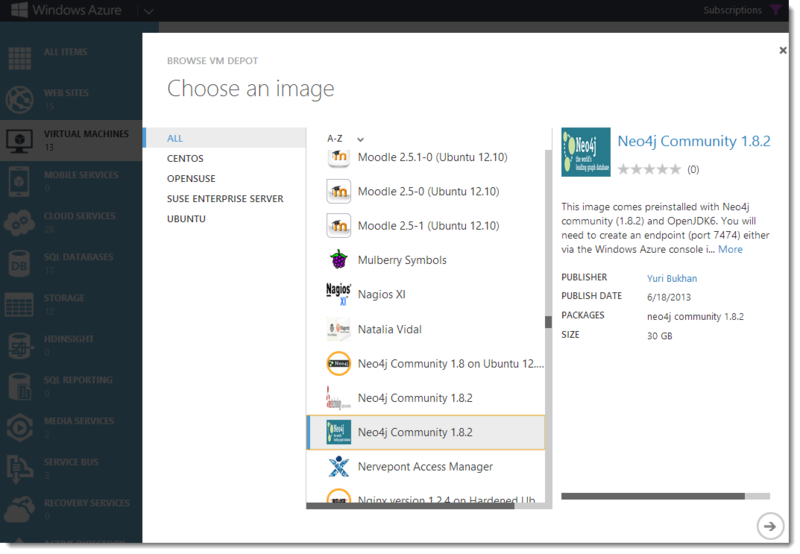 VM Depot is free: Free to publish images and free to download images to your Azure account. What are the architectural considerations for integrating multiple NoSQL databases in my app? Are there standard practices? As the Cloud Ninja Polyglot Persistence project demonstrates, you can choose to either make direct database calls or implement an abstraction layer, implementing such patterns as repository. When going with a repository pattern, this allows you to swap out database engines with reduced impact to your existing code base, although it's possible you'll need to make adjustments to your app's data access API. How do I choose a specific NoSQL database implementation? Can you please recommend one? Look at the company's longevity, financials, funding, etc. Does the vendor provide Professional Services support? How big / popular is the community? Consider forums, web presence, conferences, etc. How robust is language support? does the product offer direct API's when using a non-supported language? How active is the project? Are there frequent updates? Can you view the code (e.g. OSS)? Will the database engine run on your target OS? Some databases may be Windows-only or Linux-only. What was that super-cool zooming app you used during your demo??? I was using , written by Mark Russinovich. Where can I find more information about the stuff you talked about today?